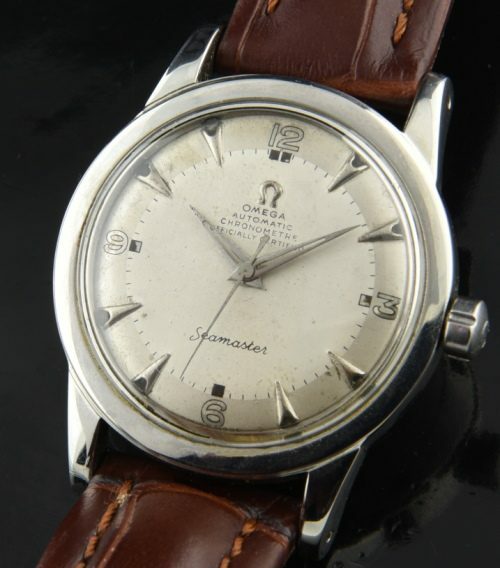 This stainless steel OMEGA SEAMASTER chronometer dating to 1949-1950 is VERY UNCOMMON. 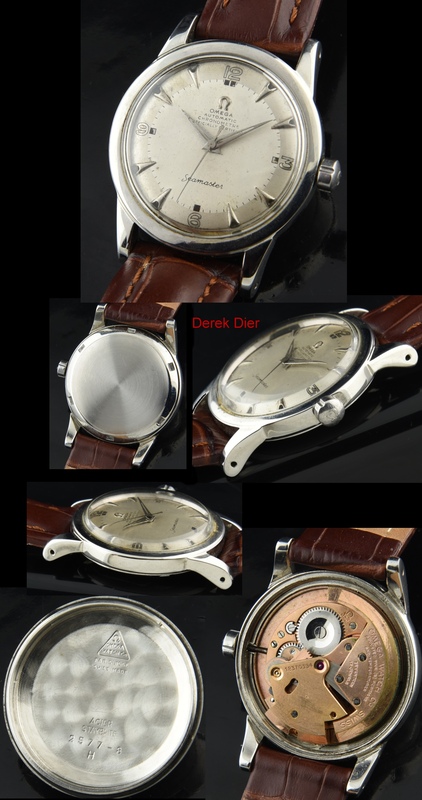 Finding these watches with a chronometer grade movement is EXTREMELY difficult. Few of these watches were produced. Notice the early caliber 352 bumper automatic movement having adjustments for 5 positions and temperatures (chronometer grade). This movement was recently cleaned and is working perfectly. The dial is completely original-two-tone with reflective Arabic numerals, raised steel arrow markers and Dauphine hands; again-all original. The correct OMEGA crown is installed. The steel and correct reference 2577-8 34mm. beefy lug case is without any major dings or flaws. I’ll say it agin…this watch is VERY uncommon to find!